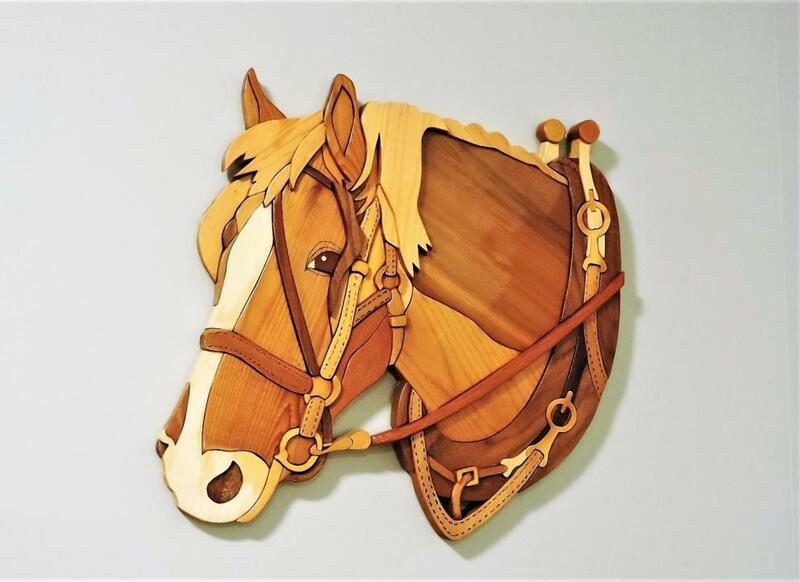 The Intarsia Artwork is Created by Woodcrafter Kirkpatrick. 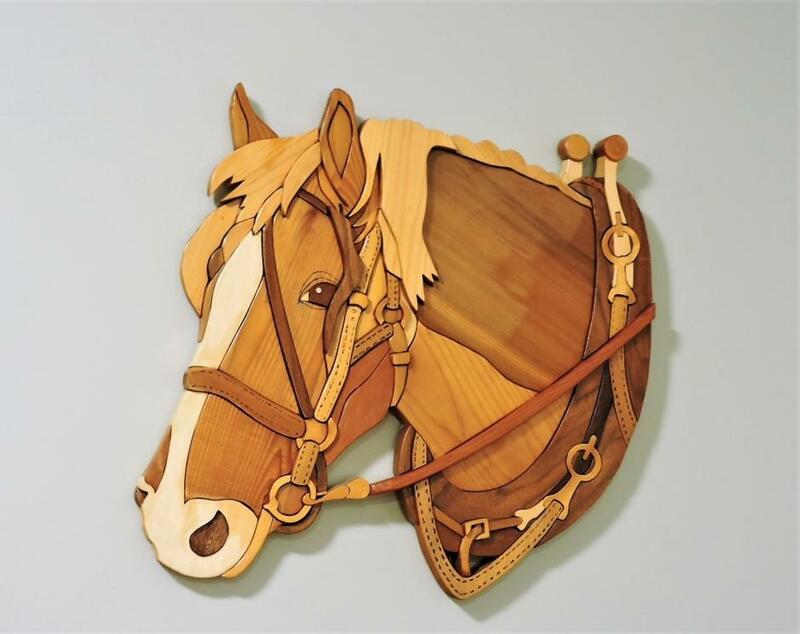 This piece is an amazing display of careful craft work, patience and dedication. A one and only creation. The Art of Intarsia is a technique introduced and perfected over the years, actually, since the 12th Century. The woodworking technique became more common through the 1980's in North America. The technique basically uses various shapes, sizes, dyes and wood species. These pieces are fitted together to create an incredible illusion of depth, color and eye catching presentation. 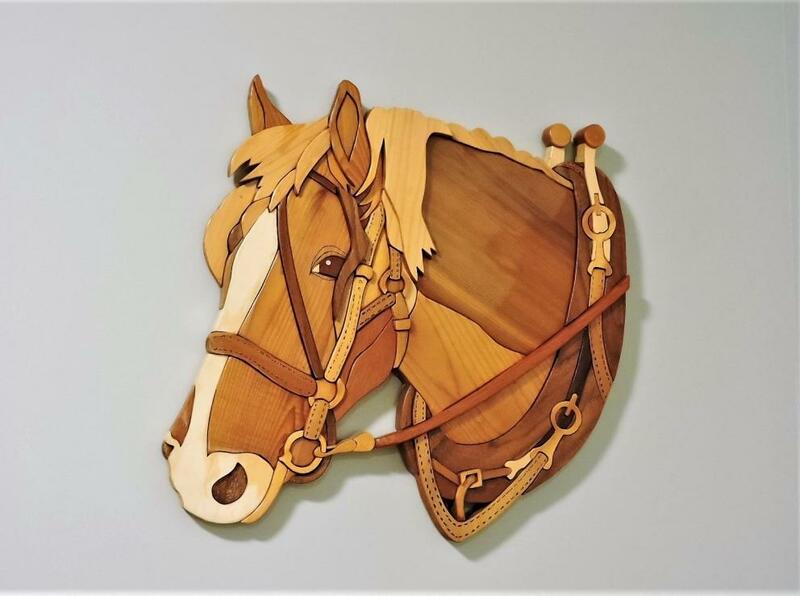 The work in the offering was created by Wood Crafter Kirkpatrick. It has outstanding color, careful presentation and eye appeal. Note: Buyer Premium of 15% will be added to the winning bid, accepted offer or buy now purchase, plus any costs for packaging, shipping, handling, insuring, taxes or any and all unforseen costs including additional payment costs of credit cards or any other payment instruments.